The digital and analog worlds continue to converge. Machines have been controlled digitally for quite some time. They communicate with one another more and more and send information to the Cloud where it is analyzed and compared. Which is why the issue of security of data and applications is increasingly a topic of discussion. The CEOs of leading semiconductor manufacturers and important heads of OEMs and scientific organizations will express their views on the topic during the electronica 2016 CEO Roundtable. Traditionally held on the first day of the fair, it takes place in the electronica Forum in Hall A3 at 11:00 on November 8, 2016. The Internet of Things is revolutionizing the world. It is changing our lives, our work and how we communicate with one another. According to an estimate by the investment bank Goldman Sachs, the number of devices connected to the Internet is expected to increase to approximately 28 billion by the year 2020. Cisco goes even further and forecasts 50 billion devices at the same point in time—it was just 4.9 billion in 2015. The market is growing at a rapid pace and is primarily being driven by electronic components. Renowned experts from the upper echelons of the semiconductor industry, OEMs and the scientific sector will discuss system security at the CEO Roundtable. This year's participants are Stefan Auerbach (Giesecke + Devrient), Carlo Bozotti (STMicroelectronics), Rick Clemmer (NXP), Professor Frank H. P. Fitzek (TU Dresden) and Dr. Reinhard Ploss (Infineon Technologies). Among other things, they will examine issues such as the capabilities and limits as well as the advantages and disadvantages of software-based security versus hardware-based security, where the greatest dangers lie and which framework conditions will be necessary in the future. They will also discuss how those who are attacked can deal with threats to data security. Sensors on garage containers in Barcelona recognize when they are full and notify the dispatcher. Personal scales record weight, muscle mass and heart rate and send them to an app via WiFi or Bluetooth, where they are analyzed. In the future, self-driving automobiles will constantly communicate with the driver, with traffic lights and with one another. Even now, there are approximately 10 million code lines of software in luxury vehicles. Electronics is the basis for the Internet of Things. However, the question of system security is more urgent than ever. The more sensitive the data is that is being transmitted over the IoT, the greater the danger that it could be stolen, falsified or manipulated. Which is why networking the world and system security must move forward at the same pace. That is why the topic of security is not just the theme of the electronica's CEO Roundtable, but also a focal point among exhibitors and the focus of lectures in the conferences and forums that accompany the fair. 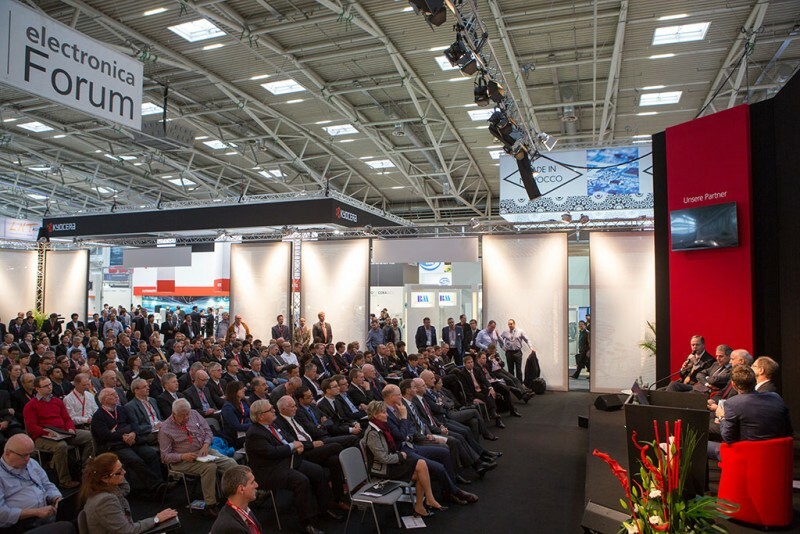 All events, lecture topics and information about the speakers are available in the electronica event database at the following link: http://electronica.de/event-database. Renowned experts from the upper echelons of the semiconductor industry, OEMs and the scientific sector will discuss system security at the CEO Roundtable.